Make better decisions about your education with Noodle. You can find schools, services, and learning materials that are just right for you and your family with Noodle’s advanced search and community of experts. You can even get advice from a community of experts! They have a large variety of articles from preschool to college so you can learn tips like why you should start your preschool search early. 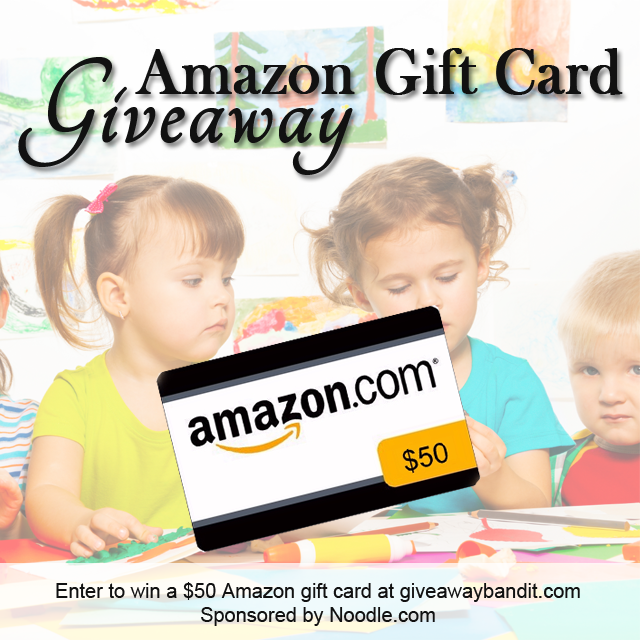 Enter to win a $50 Amazon gift card sponsored by Noodle! Giveaway is open to US residents, ages 18 years of age and older. Giveaway ends September 10, 2015 at 11:59 pm EST. Enter to win via the rafflecopter entry form below. Good luck everyone! Prize to be fulfilled by the sponsor, Noodle. Giveaway Bandit is not responsible for prize fulfillment. No purchase is necessary to enter. Void where prohibited by law. The odds of winning are based on the number of entries received Open to US, 18+ only. Confirmed Winner(s) (by Random.org) will be contacted by email. Winner(s) have 48 hours to respond before a new winner is chosen. No purchase necessary. Void where prohibited by law. The sponsor(s) will be responsible for product shipment to winner(s) of this giveaway. My blog is not responsible for product shipment/delivery. This event is in no way administered, sponsored, or endorsed by, or associated with, Facebook and/or Twitter, Google, Pinterest. This disclosure is done in accordance with the Federal Trade Commission 10 CFR, Part 255 Guides Concerning the Use of Endorsements and Testimonials in Advertising. Could certainly use the Amazon gift card. Amazon sells everything!